With the increase in institutions that are initiating microbiome studies comes an increase in demands for sterile support materials. Setting up and maintaining isolators to breed and perform studies with germ-free mice is a challenge. There are a number of ways that a biological contaminant can enter an isolator, but the highest risk of contamination may be from improperly sterilized feed. To help us understand better how to reduce this risk of contamination, we sought out Frank Gianni, Director of Scientific Services at Lab Products Inc. Frank is the inventor of the Hydropac® and an expert in gnotobiotics. We asked Frank a few questions about autoclaving best practices to create sterile feed for germ-free mice. Why is Ensuring Sterility Difficult? Gnotobiotic technique for housing germ-free animals is well understood, but often poses challenges to those just starting out. Of all the sterilized items needed to support germ-free mice, which is the most difficult to provide? Sterile feed is perhaps the single most difficult thing to insure sterility. Most rodent diets are made from natural products that go into the manufacturing process already laden with bacteria. When the process of mixing ingredients is complete, the food still contains bacteria. That bacteria can grow and expand as the food sits around waiting to be used. Will the number and type of organisms present in feed change from lot to lot? Yes, that is possible. The bacterial load of ingredients going into manufacturing process will depend on the time of year and weather conditions when feed ingredients are harvested. Are there different ways that a mouse diet is manufactured? Yes. There are pelleted and extruded. Both methods are effective means of delivering nutrition to mice. But when considering autoclaving food for sterility, it is best to choose extruded diets because they are baked over 300°F during the manufacturing process, which kills virtually all the microorganisms. Does that mean going into the autoclave, the bacterial load of extruded diets will be lower than pelleted diets? Yes. The feed is not going to be sterile, but you will be starting with a very low bacterial load. This makes it easier to achieve complete sterility. 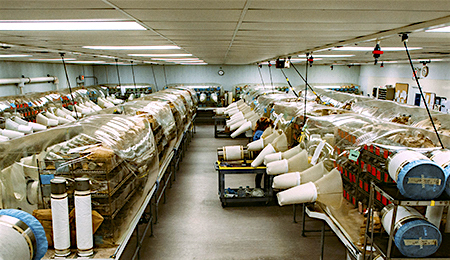 Some facilities use irradiated feed. Is this an effective source of sterile feed for germ-free mice? It can be, but only with extruded feed. We find with pelleted feed, the bacterial load is too high for standard irradiation doses (~25 kGy) to have 100% kill. On the other hand, extruded feed has a very low bacterial load to begin with, so irradiation can be effective. What are some of the important things to consider when autoclaving food for germ-free mice? Before autoclaving food, the autoclave itself should be validated. Validation of any autoclave cycle (load) is usually done with at least fifteen thermocouples placed strategically throughout the load (feed bags) and with spore strips placed next to the sensors. This validation should be done annually. If there is any change to cycles or repairs to the autoclave, it should be revalidated. Now that we're sure the autoclave is working as programmed. What's next? The configuration of how the feed bags are placed in the chamber should never be altered. The direction and number of the cylinders in the autoclave load can affect steam movement in the chamber. Even the thickness and type of paper bag used to wrap the feed and perforations made in the bag can affect the ability of the steam to penetrate. If you do need to alter this configuration, you will need to revalidate the load. Even though the autoclave cycle and load configuration are validated, do you need to check every load? Yes. In every load there should be chemical and biological indicators which demonstrate that heat and steam targets were achieved. While not a full guarantee that food has been sterilized, chemical and biological indicators are highly correlative to sterilization. Frank, this has been very informative. Do you have anything else you'd like to share? Maintaining germ-free status is a technically challenging endeavor. Having a validated food sterilization process in place can greatly reduce the risk of contaminants entering the isolator through the feed. It goes without saying sterilizing feed for use with germ-free mice can be challenging. Frank provided some of the best practices for reducing the risk of contaminating germ-free mice through the introduction of improperly sterilized feed. These few simple processes can help you support the important microbiome studies at your institution. ← What is the Microbiome?